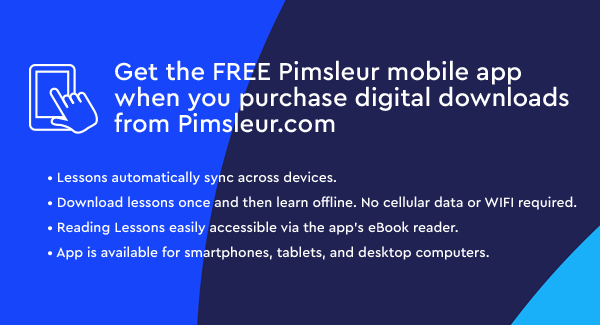 Discover how to learn Haitian Creole with the Pimsleur Method. 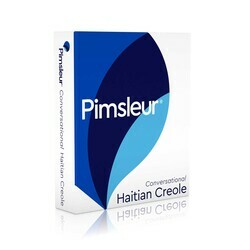 Start Speaking Haitian Creole using the Pimsleur App! Haitian Creole (kreyòl ayisyen) is one of the official languages of Haiti. It's a French-based creole heavily influenced by West African languages. This course teaches the standard dialect spoken in and around the central district & Port-au-Prince. 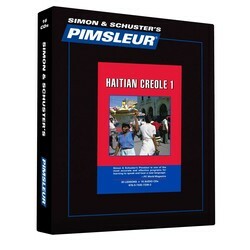 Learn Haitian Creole today with Pimsleur. Lessons 1-16 from the Haitian Creole Level 1 program on 8 CDs (8 hrs). Each lesson contains an intro conversation, and new vocabulary & structures. Learn essentials - greetings, meals, shopping, directions, and more.